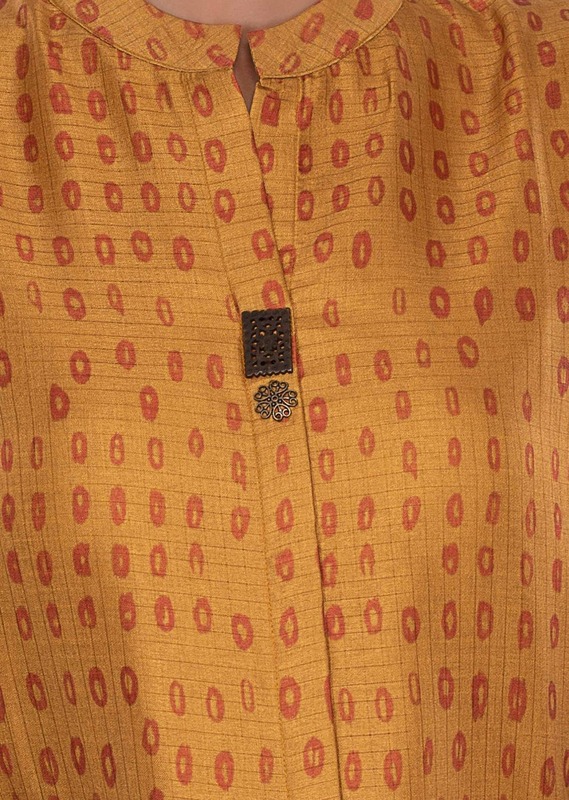 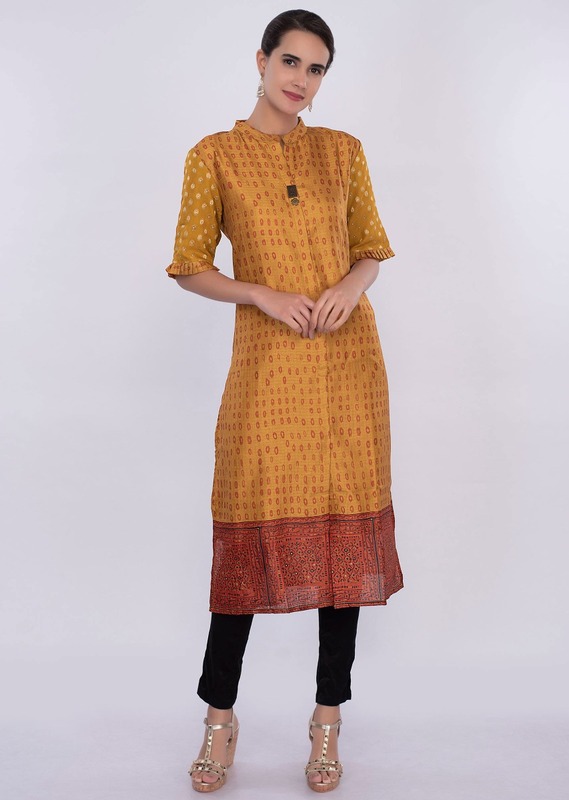 Rustic yellow cotton silk kurti. 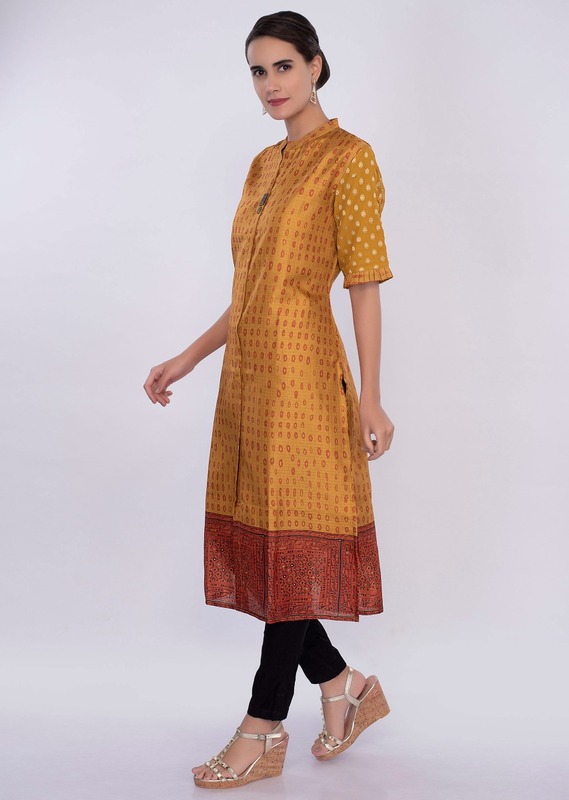 Adorn with printed butti all over. 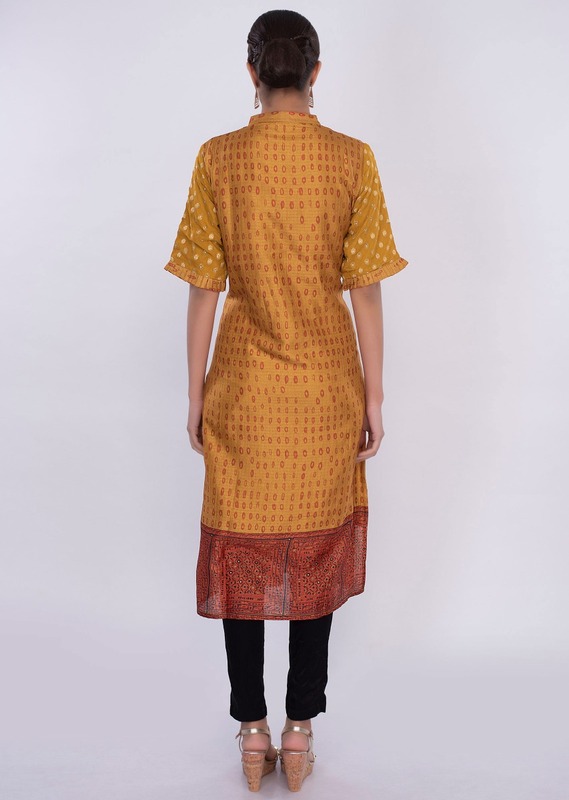 Comes with georgette weaved sleeves with pleats at the rim.